Premium 1X Oval 96bcd traction chainring designed for Shimano XT M8000 and MT700 1x or 2x cranks only, featuring the same oval shape as our very popular direct-mount oval chainrings. All 3 sizes have built-in offset to optimize your 1X chainline. 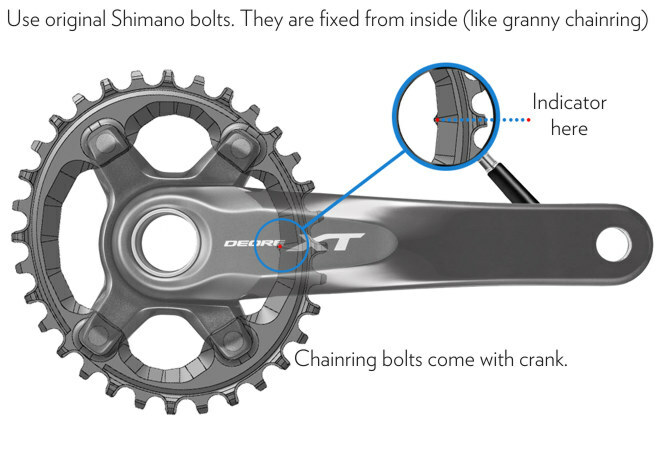 Use stock Shimano M8 chainring bolts that are supplied with crank.